Picnic ideas for your next picnic! Picnic Idea: 'Celebrate the Ants Picnic"
Picture this, celery, stuffed with peanut butter; sprinkle some raisins on toplooks like ants to me! Did you know that you can get gourmet chocolate covered insects? Just search for your favorite chocolate covered insect on the internet and your picnic will definitely be remembered! Believe it or not, Hobby and Fabric shops are into the whole ant picnic idea theme also! A great picnic idea is to visit your local fabric and craft shop, get some fabric you like and get iron-on or stick-on plastic. With this, you can make a tablecloth that is re-usable! Arrange the sandwiches on a tray, three lengthwise to a group. Use six pickles for the legs, and stick two of the toothpicks in the first sandwich of the group for the antennae. On a plate go three scoops of ice cream, all in a row. 6 pieces of Twizler make the legs between body sections; two smaller pieces of Twizler make the antennae, and don't forget two raisins for the eyes! Ok, so now as I have you reaching for the bug spray, maybe I've given you and idea or two about your own themed picnic ideas! My best advice is to take a theme and run with it. Don't worry about bordering on the edge of the 'cheese factor' (you know? 'cheesy'). 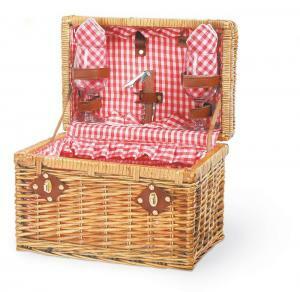 By going over the top with your themed picnic idea, your picnic basket (and your event) will be memorable!